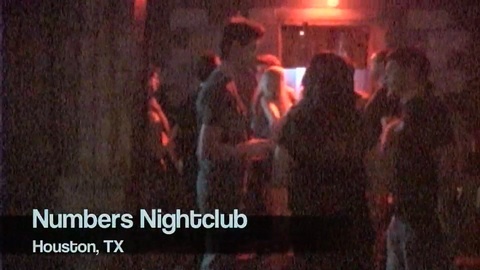 This a teaser trailer for a documentary I am working on about a night club here in Houston called #s. It's been around since 1979, though briefly changed its name to Babylon for a couple of years in the early 80s. Before it was Numbers, it was a gay disco called The Million Dollar City Dump. And before that even, it was a dinner theatre. This a work in progress currently held up due to a need to acquire on camera lighting. That should be remedied rather quickly as soon as I can make a decision on which to get. Therefore the quality of some of the club shots is of poor quality. (Apparently turning up the gain makes it look this bad! Yeah it is really bad!) As for the sound, I've learned that a boom mic does not work properly, or at least not the kind the school had. So I am switching to lapel mics for everything. Though I haven't figured out a good way to catch the voices in the DJ booth since it has the cross sounds of the club music to contend with. Those are the issues I am working with, so please pretend you don't see them when viewing this! JK. I've now decided to upgrade to an HD camera. I've picked out the one I want and I'm saving up and will sell my Canon XL1s as well. If you would like to contribute to this project, please use the paypal button below. Any amount is helpful! Also, if you are interested in a Canon XL1s (It shoots great in good lighting conditions I swear!) you can email me. I'm looking to get about $1000 for it. Comes with lots of extras and a bag.